You never know when you'll find yourself in an accident or emergency health situation. When your action or inaction can mean the difference between life or death, it's important to always be prepared. 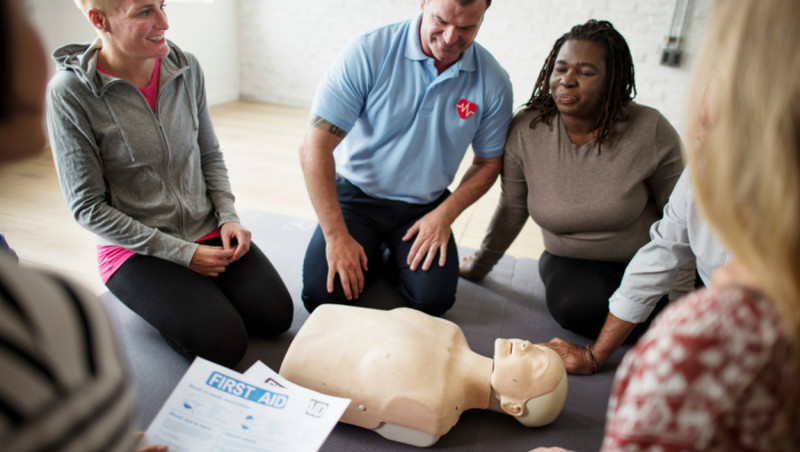 Even knowing the very basics of First Aid and CPR can help save a life, and it isn’t complicated or hard to learn. Whether you require a CPR and First Aid certification for work, or just want to be prepared to help those in need, our online course will equip you with the tools and training you need to feel confident and ready to act. In this course, we will be teaching you practical tips and techniques used by the experts, however, this course will not provide you with a formal qualification to practice professionally –it’s a great starting off point. You will come away with all the tools and training you need to be prepared for most emergency situations. Everyone should take a First Aid and CPR class, and we make it convenient by bringing our virtual classroom to you in one easy course– so you can learn at your own pace. When faced head-on with an emergency, you may not have time to consult the internet, and you may not have equipment to reach out for help. It's usually lack of knowledge and confidence that makes people freeze in an emergency, but this training will empower you to spring to action using industry-approved techniques to safely administer treatment. Our course combines technical knowledge and theory with hands-on application, so you won't just learn how to do something - you'll be able to adapt to the situation. This training is also applicable when you yourself need medical care, so you may just end up saving your own life. In a life or death situation, every second counts. You never know when this First Aid and CPR training will come in handy, so let’s get you prepared today.